The workers of the Russian penal system celebrate their professional holiday annually on March 12. 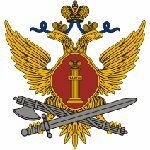 Workers of the Penal System of the Ministry of Justice of Russia Day was officially established by Presidential Decree. The date of the holiday has its own historical background. The Russian Emperor Alexander II issued a decree on the establishment of the prison department on March 12, 1879. This document laid the foundation for the creation of a unified state penitentiary system in the country. The Department of Internal Affairs was in charge for penitentiary system for many years. However, the state system was reformed, that led to the transition of the system to the Ministry of Justice. The penal system reformations began in 1997, and it finally moved to the Ministry of Justice on October 30, 1998. Following the reforms of 2004-2005 it was transferred to a specially created Federal Penitentiary Service, which is under the patronage of the Ministry of Justice of the Russian Federation. At the moment, more than 340,000 people, 257,000 of whom are certified employees, work in the Federal Penitentiary Service. All of them celebrate their professional holiday on March 12.